Can you truly experience the game without an Eagles tomato pie? Cheer on the Birds with our best Eagles eats, right here in Montco. Famous for their tomato pie, this family-owned bakery is the real deal. For no extra charge, Corropolese will even customize your pie with the logo of your favorite Philadelphia area team – perfect for game day. For Eagles tiramisu AND tomato pie, look no further than Conshohocken Italian Bakery. Winner of Philly A-List's Best Bakery five years in a row, the Conshohocken Italian Bakery is a genuine Conshy classic. Duck Donuts brings the taste of the Outer Banks to King of Prussia. The famous Duck Donut is a freshly-made vanilla cake donut that you coat, top and drizzle as you wish - hopefully with the Eagles game day assortment! The 2017 and 2018 winner of Sweetest Bakery in America is right here in Montgomery County. 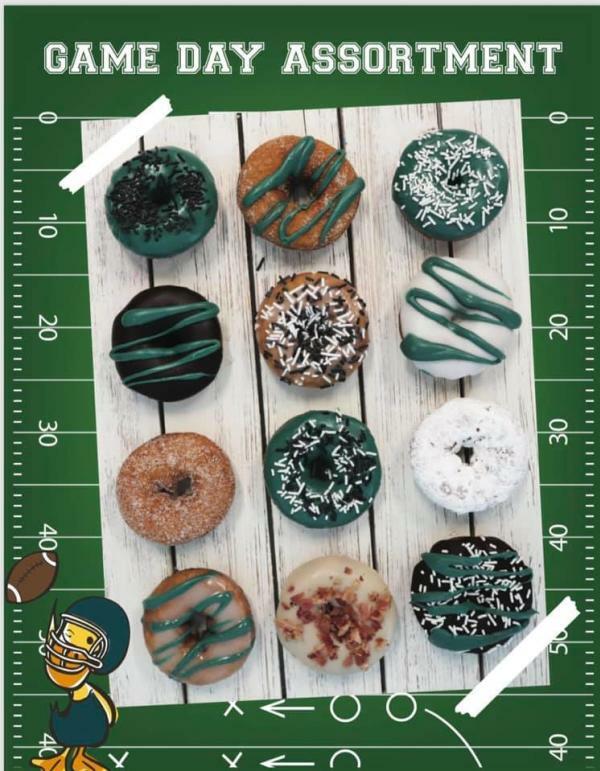 Their scratch-made Eagles goodies, from doughnuts to cupcakes, are a must-have on game day. "Amazing" doesn&apos;t even begin to describe the sweet treats available at Gina&apos;s (located in Costa&apos;s Deli). An accomplished sugar artist, Gina Costa has years in the specialty cake business, and her Eagles-themed S&apos;mores, Oreo, and Cannoli cupcakes are no joke. The Dapper Doughnut serves “cake style” doughnuts that are light and slightly crunchy – and served hot. Perfect for snacking while cheering on the Birds! First opened in Ocean City, Maryland, in 1976. The Greene Turtle Sports Bar & Grille combines comfort food, a casual atmosphere and a sports bar theme, Bringing a piece of OCMD to Pennsylvania. It&apos;s King of Prussia Town Center&apos;s neighborhood bar. City Works kicks everything up a notch with 14 flat screen TVs, 90 craft beers on draft, and a menu full of inspired bar food. Catch all the action from Philadelphia and beyond at the Lucky Dog Saloon and Grille in Conshohocken. 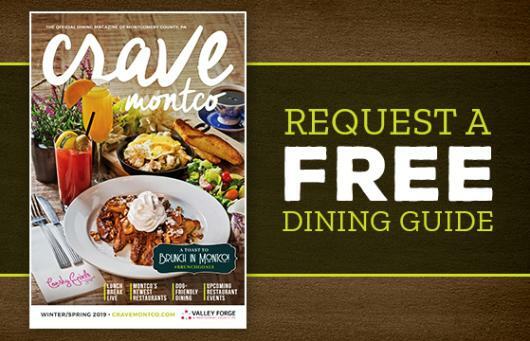 An award-winning, made-from-scratch menu and 21 draft beers are waiting for you. If you haven&apos;t tried Round Guys&apos; selection of craft beers, then game day is a great excuse to check them out. More than 15 of their unique beers are on tap and the bar is lined with flat screens tuned to the day&apos;s biggest games. Stove and Tap has exactly the kind of inviting and comfortable vibe you want. And with a comfort-food menu, 38 ales and lagers and enough TVs for all your favorite teams, it may soon be your favorite bar. 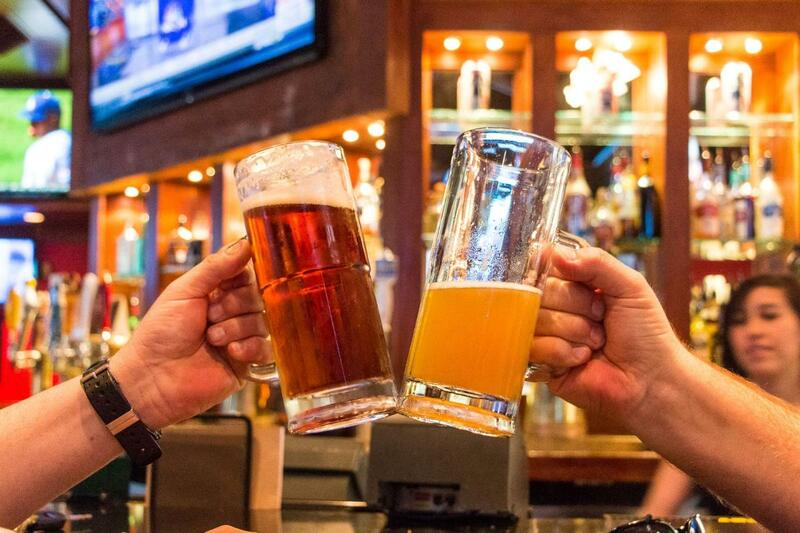 Whether it&apos;s football on Sunday nights or Saturday night fights, Fox and Hound is your game day HQ. And with more than 80 beers, including 37 of them on tap, you&apos;ll never go thirsty. Prep for the big game by staying overnight at one of Montco's 75+ premier hotels.